Is Hiring a Landscape Gardener Expensive? Have you ever said “How much? !” and then decided to do the job yourself? I thought that about decorating the house and regretted it. Here’s why hiring a landscape gardener may be better value for money than you think. 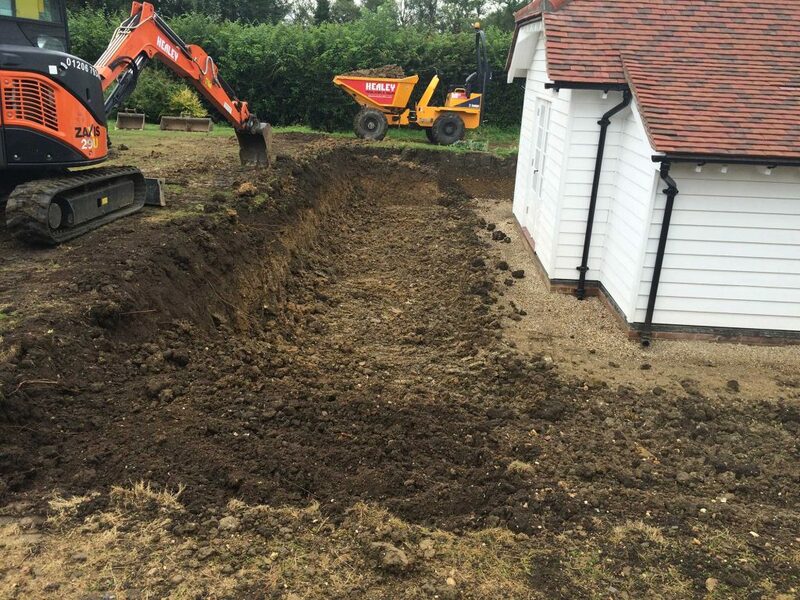 Building the sub base for a patio is a skilled job – once the slabs have been laid this work will probably never see daylight again yet it is as important to the garden as the foundations are to the house. When you are hiring a landscape gardener, what do you actually get for your money? Of course I should add that not all landscape gardeners are the same – always do your research. Check reviews, look for trade association membership. Most importantly, make sure you meet the landscaper in person and that you actually like and trust them. The list is much longer in reality – but you get the gist of it. If you were to embark on a landscaping project, could you honestly do all of those things yourself? 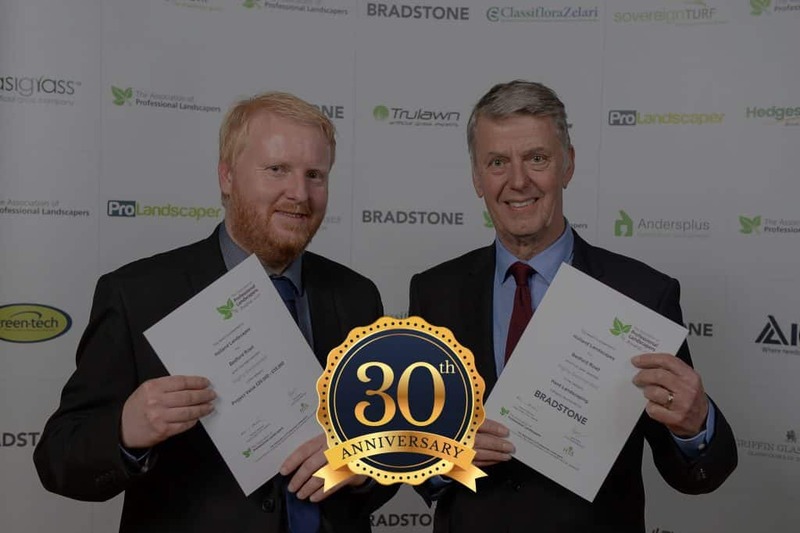 Chris Baker (Right) has over 30 years experience of landscaping and has trained many other landscapers to work to high standards. All 3 of these are crucial for a good landscape gardener. Watching some videos on Youtube don’t count towards any of the above. In the landscape industry there is no substitute for learning by doing. Our apprentices work alongside experienced landscapers and they attend college to top up their learning. Over time, that allows them to work quickly, efficiently and well. 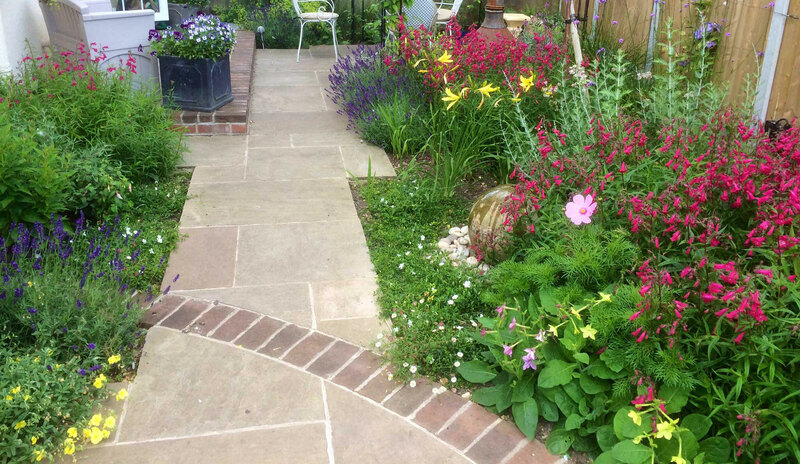 So rather than fumble around, get things wrong, re-do them, break things and hurt your back – why not hire a landscape gardener? Landscaping needs a lot of materials and equipment. Everything needs to be on site on time and in the right order. That means either negotiating with suppliers, chasing up deliveries and finding storage space OR filling your own vehicle with everything you’ll need and running back to the DIY store when you remember what you’ve forgotten. And then there are your responsibilities for CDM regulations to factor in. Project management is hassle. When you hire a landscape gardener you delegate all of the worry and the headaches. Anything but the smallest landscaping project will be require more than just a garden spade and a wheelbarrow. Many of the tools and machines involved are things you might only use once, so are they worth buying? Probably not. You’ll be trawling around the hire shops and part of the time you’ve allocated to the project will be spend collecting and returning machines and learning how to use them safely. A decent landscaper gardener will either already own those tools or be able to use hired machinery. Sometimes a shovel and wheelbarrow just isn’t up to the job. A professional landscaper knows just what’s needed and where to find it. One survey claims that DIY accidents cost the NHS £222 MILLION last year. I haven’t been able to find any figures on days off work or lost productivity because of DIY mishaps but I’m guessing that figure is quite high too. Once again, the message is clear. If you’re not accustomed to heavy outdoor work, hire a landscape gardener to help you. They understand how to minimise the risk to themselves and to anyone else on site. So you’ve taken up the old patio, ripped out overgrown shrubs, taken down the rotten shed and lifted that tired lawn. What are you going to do with all that “stuff”? You could fit it into your car and go several trips to the tip. IF council rules allow you to. OR you could let the landscaping firm sort it out. I know which idea sounds more attractive to me. It’s true at Holland Landscapes and many of my landscaping pals say the same, in any team of landscapers there is a mix of skill sets. Most of us can turn our hands to anything but some are more greenfingered, some are super carpenters, others are slabbing superstars. It’s good to be able to mix and match talent in order to get a better finish on the job. Having several people to call on means that a project manager can bring in extra labour when it’s needed. Which means that weather allowing, jobs are more likely to be finished on time. It’s hard when you are mixing mortar and laying slabs at the same time. Especially if you want to be done before the weather breaks. There is no substitute for having the right talent in the right place and the right time. That’s what project management and landscape construction is all about. 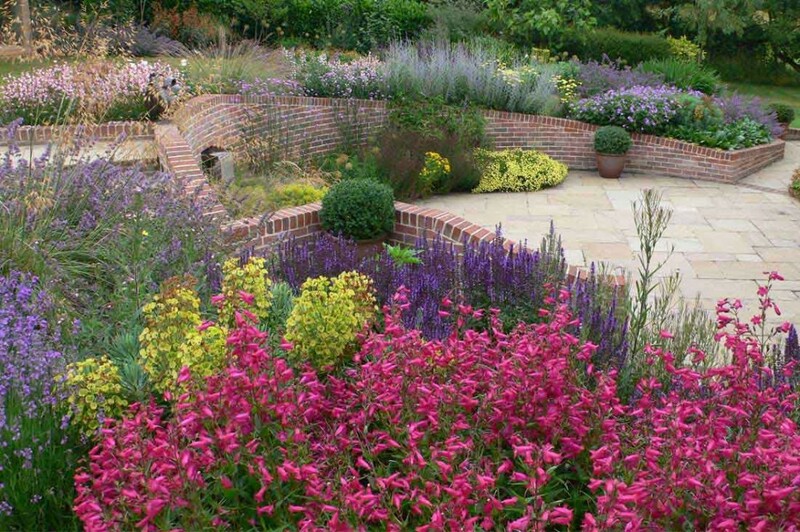 A beautifully landscaped garden needs a lot of different skill sets to create it. 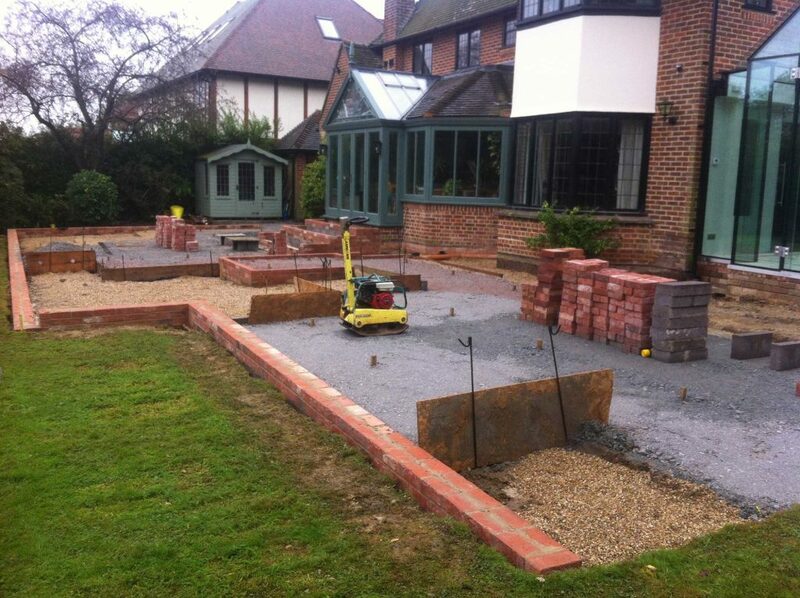 This project involved garden design, excavations, retaining walls, slab laying, planting, lighting, turfing and more. It’s often the case that what, on the surface of things looks like a simple DIY job, actually turns out to be more complicated and time consuming than you planned. I still remember that time when I decided I could redecorate the house. I thought it would be cheaper than hiring a professional. OK so it didn’t cost much to buy the paint but oh my goodness, I certainly paid in other ways. Boredom mostly, and frustration, and time, and mess. I ruined my clothes and got very grumpy. I definitely won’t try that again! What does it cost to hire a landscape gardener?